Archival inkjet on canvas from Nic Nicosia’s “Space Time Light” series, (2008–09). The San Antonio Museum of Art announced that it has received three separate gifts of contemporary art. 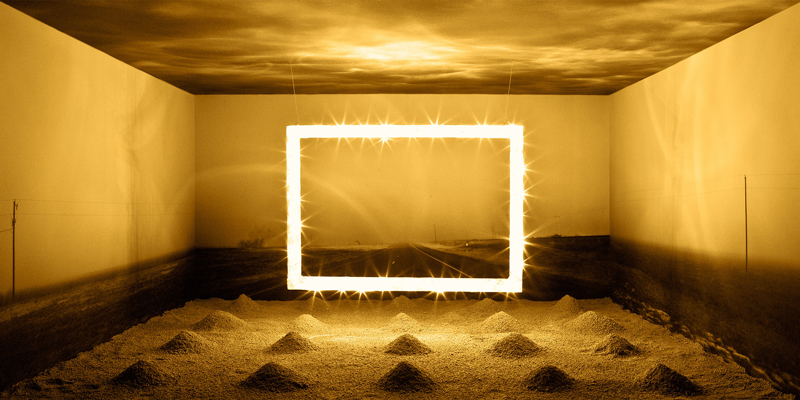 The Dallas Consortium gave the institution Nic Nicosia’s major series “Space Time Light,” 2008–2009, which comprises ten large-scale archival ink-jet images on canvases. It is the first work by the artist to enter the collection. The Alex Katz Foundation, which has been focused on donating works of art by living American artists to American art museums, donated one work each by artists Katherine Bernhardt, Richard Bosman, Juan Gomez, Lauren Nickou, and Virginia Overton. In addition, the institution was given a large-scale bronze sculpture by American artist Catherine Lee from an anonymous donor.